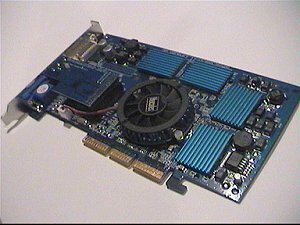 The Hercules Geforce 2 Ultra is, one of the select few Geforce Ultra cards available in the UK at the time of writing. 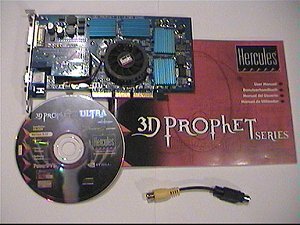 The Prophet 2 Ultra follows the Nvidia reference design in terms of clock speed to the letter, running at 250Mhz Core speed and 460Memory, Unlike previous Hercules offerings this is the regular speed for the Ultra chipset, Earlier Hercules offerings such as the GTS2 2 64Mb ran at over the Nvidia prescribed core speed, but with this model, they obviously decided to run at default settings, other than the chipset speed, Hercules did pack in the other extra's the DVI interface for flat panel monitors, and TV out is included, which is a bonus, not found on all Geforce 2 Ultra's. 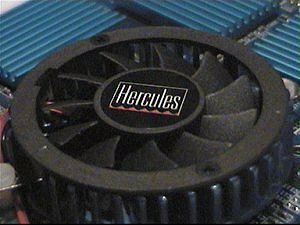 The Ultra features a bigger round heatsink to get rid of the extra heat that a 250Mhz core produces, On the overclocking side I found that the older Nvidia reference drivers, didn't allow as much overclocking at all, with driver set's older than 6.47 I could not increase the memory clock above 500Mhz without the screen picture disappearing and being replaced by lines all over the screen, I thought this was maybe a problem with the hardware or even the board design not being able to cope with over 500Mhz memory clock. 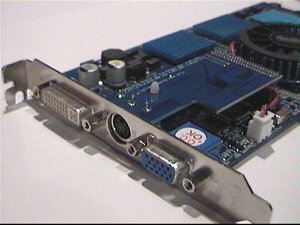 but on experimenting with the different driverset's I tried detonator 3 version 6.47, and it worked at over 500Mhz in fact I was able to run it all the way up to 530Mhz !!. 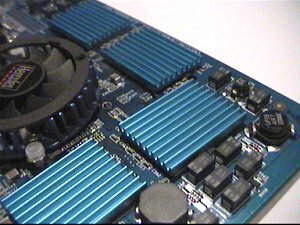 the core would work at up to 302Mhz and that was about as far as I got with overclocking.. Having said that I made the worlds fastest consumer video card even faster so that can't be a bad thing hehe. 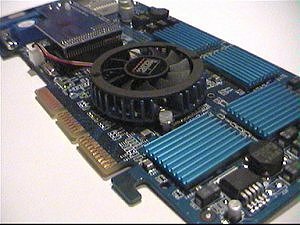 For the tests I used Nvidia 6.47, as they seem the most stable so far and allow me to overclock the graphics card properly. 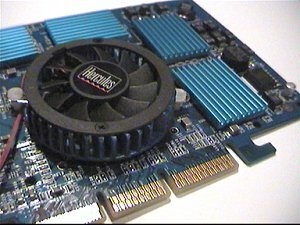 I was running Win98 SE and Via 4in1 service pack 4.25a with Nividia reference drivers 6.47. 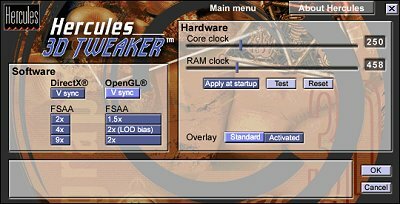 I also installed the Hercules 3D Tweaker from the Hercules Install CD, this basically brings all the Nvidia coolbits settings into one little applet, the one thing I didn't like was that it was a memory resident program that sits in your taskbar, this means it is a tiny bit faster to access, but for benchmarking I don't want any unnecessary programs running in the back ground, so I stuck with the old favourite "Nvidia CoolBits" reg file available here. 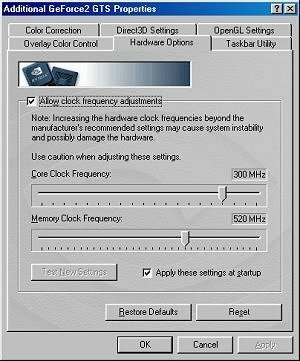 The Hercules 3D Tweaker, showing the default Ultra settings of 250 core 458Mhz memory, this is just below the regular 460Mhz default clock speed, within the margin of error, as the overclocking results show the Ultra is capable of a lot more speed any way.